We ate at an Indian restaurant recently and I ordered veggies in some kind of curried cashew sauce which I enjoyed, so I thought I would experiment at home with roasted veggies, instead of stewed veggies. so add more of each veggie for additional servings. 2. Scrub and slice veggies as noted above. Toss with 1 – 2 Tbl.oil, ghee, or butter. 4. While veggies are roasting, drain soaked cashews, place in blender with coconut water (or water) and curry powder (start with 2 tsp.) and puree until smooth. If too thick to pour, add more (coconut) water and blend again. Also add more curry powder, if needed. 5. Place the cashew cream in a small pot and warm on the stove for about 5 minutes, stirring to avoid burning. 6. 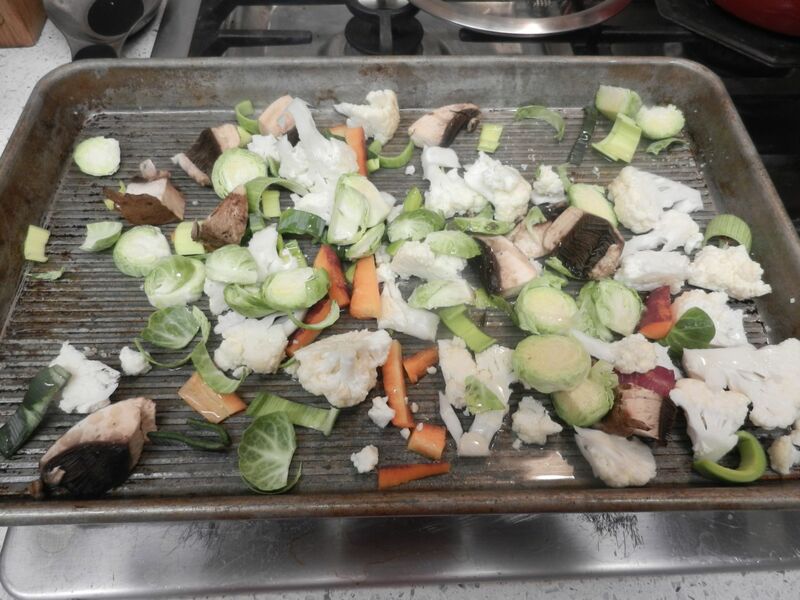 Remove veggies from baking pan and spoon onto a serving platter. 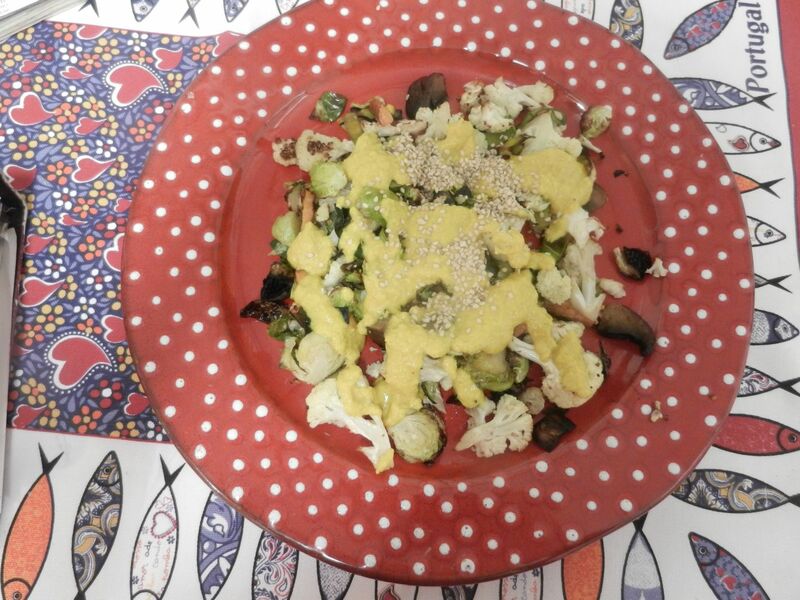 Turn off stove and pour cashew sauce over the veggies and serve. *P.S. On the Home Page for February I listed 10 foods from the Global Health Center site that are heart healthy, so you can use broccoli instead of cauliflower (although they are both good-for-you cruciferous veggies) and add thick asparagus stalks when in season. Then serve a green salad using spinach, avocado or walnuts, olives, and chickpeas and you have a super heart-healthy dish! This entry was posted on Thursday, February 8th, 2018 at 12:49 pm	and is filed under Home Page, Kitchen Nutrition. You can follow any responses to this entry through the RSS 2.0 feed. You can skip to the end and leave a response. Pinging is currently not allowed.